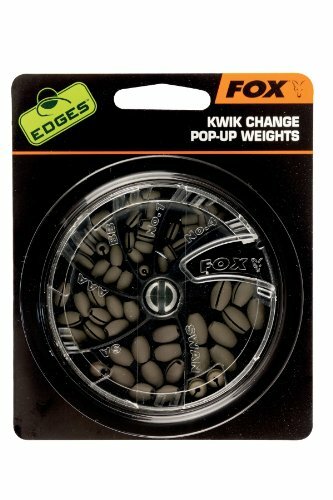 Fox edges Kwik Change pop-up weights - Fox edges Kwik Change weights allow the angler a multitude of options for while mixing or weighing it down. Attach the weights are and by simply a little piece of rubber hose stretched and put into the slot. This allows for a secure hold, of the the Schnur not damaged.